Looking at today’s range of “me too” midsize sedans, crossovers, and yuppie-mobiles, it’s easy to think that car designers have no imagination. In reality, it’s that they know innovation can go horribly wrong if the timing isn’t right. Some ideas just emerge before people are ready for them, and the car industry is no different. Sometimes the technology to match a designer’s imagination simply doesn’t exist, sometimes the idea is poorly executed, and sometimes buyers can’t take too much change at once. Milburn Light Electric: Electric cars were actually quite popular around the turn of the century, at least a generation before anyone had heard the term “global warming.” Gasoline cars of the time had other disadvantages: They were loud, stank of fuel, and had crank starters that could break a driver’s wrist. That’s what made electric (not to mention steam) cars so appealing. The Milburn, built from 1914 to 1923 in Toledo, Ohio, is typical of these early electrics, and explains why the technology is just now starting to reemerge. Interestingly, the Milburn’s range was estimated at 60 to 75 miles per charge, which is fairly close to what modern EVs can achieve (a Nissan Leaf can go roughly 80 miles on a single charge). However, top speed was limited to 20 mph. 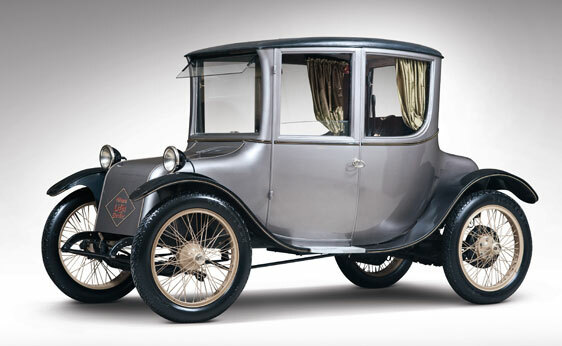 The Milburn and other electric cars of the period also suffered from a “phone booth” body. With no need for a long hood, builders tried to maximize interior space with these boxy bodies. Thankfully, the wind tunnel was invented after the Milburn’s 1923 departure. Despite these shortcomings, early electric cars had their fans. The Secret Service used Milburns because they were quiet, while married men liked to buy them for their wives because the short range would keep them from driving far. Ultimately, the Milburn’s lack of range and performance did it in. Almost 100 years later, electric cars are just starting to show improvement. Is the electric car finally ready? We’re finding out right now. Chrysler Airflow: Chrysler’s gloriously streamlined Airflow looks like the perfect car for an Art Deco world, but what made it unique also made it a commercial flop. It’s also what made this Chrysler an automotive pioneer. 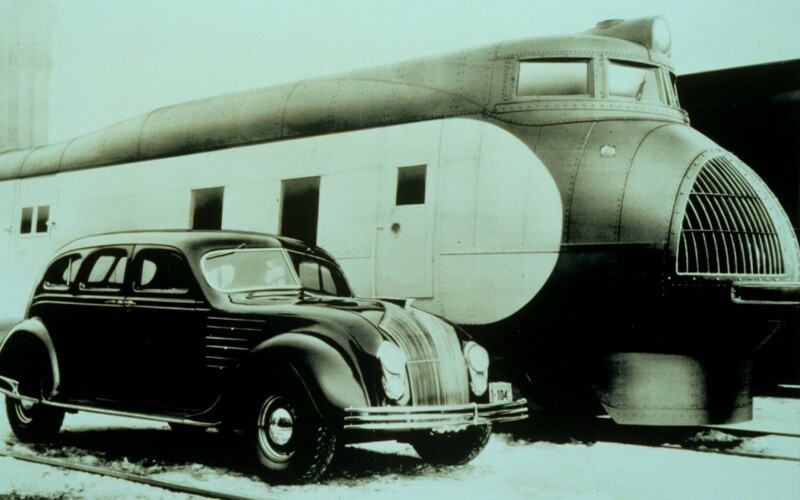 Introduced in 1934, the Airflow was the first production road car to be designed in a wind tunnel. Orville Wright was even brought in to consult. The result was a car that looked like it was from another planet, but was also full of now-commonplace design features such as a curved windshield and headlights and fenders that are integrated into the body. 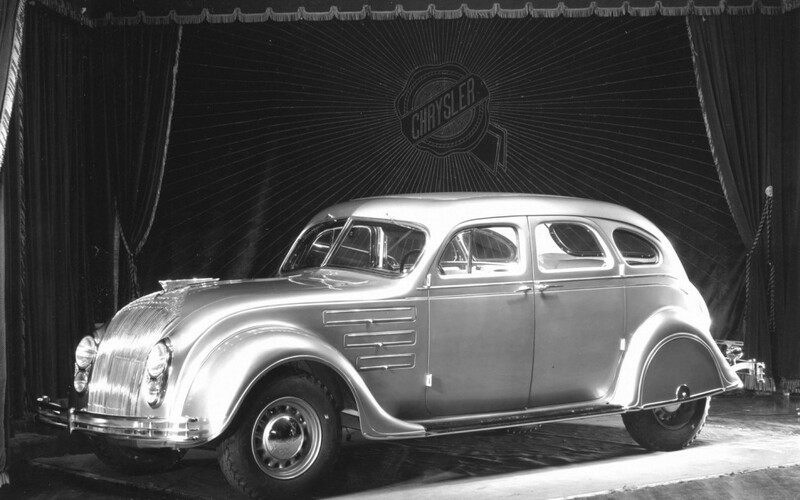 Unfortunately, the Airflow was a bit too radical for 1930s buyers. It didn’t help that the car’s streamlined body didn’t offer any tangible performance or economy benefits. Today, no car makes it to the showrooms without a trip to the wind tunnel, and they don’t always look as good as the Airflow when they come out. 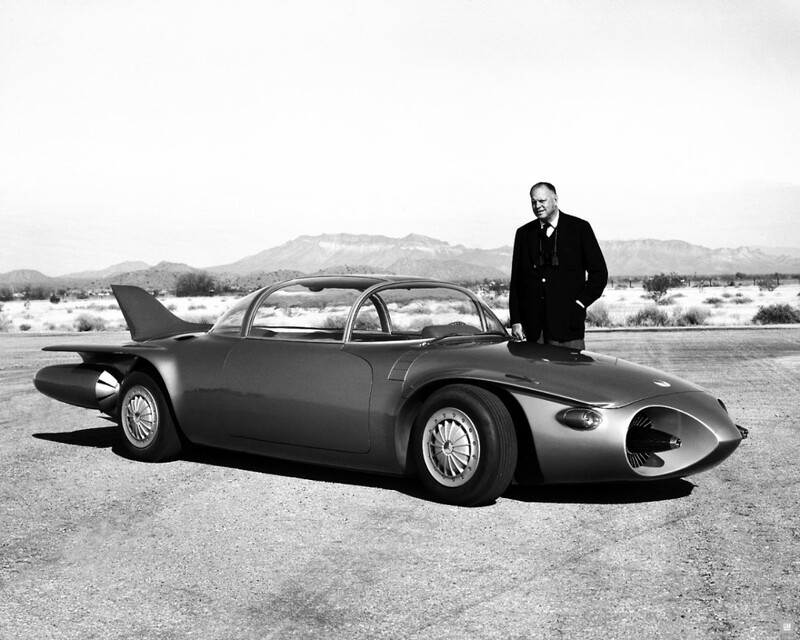 General Motors Firebird II: GM’s 1950s Motorama concept cars demonstrate the unfettered optimism that made the postwar period the Golden Age of American cars. At a time when jets and rockets were the most exciting new technologies, it’s not surprising that someone at GM decided to build a turbine-powered family sedan. Buck Rogers looks aside, the 1956 Firebird II, one of three such cars built for GM’s traveling Motorama car show (and no relation to any Pontiac) is proving to be quite prophetic. Among other features, the Firebird II was supposed to interface with a “highway of the future” that would allow it to steer itself and automatically avoid accidents. This feature is already becoming a reality thanks to the lane departure warning systems offered by several carmakers. These active safety systems can tug a car back into its lane with either the steering or brakes if the driver isn’t paying attention. Obviously, the technology didn’t exist in 1956 to make a car drive itself, but GM was on the right track. It said the Firbird II used sensors to pick up signals from a wire embedded in the road to orient itself. That’s exactly like the “smart road” technology some are proposing to make self-driving cars a reality in the 21st century. Aston Martin Lagonda: A slick digital display is a must in any high tech car in 2012, but what about 1976? 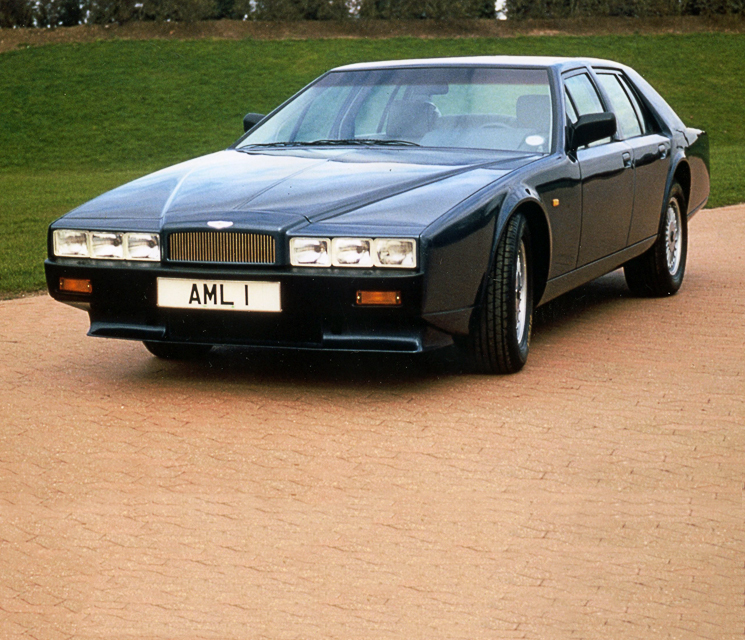 The Aston Martin Lagonda looked like a futuristic version of a classic British sedan and, fittingly, it was full of tech the people of the 1970s couldn’t fully understand. The Lagonda may have had a carburetor, but it also had an LED dashboard that included readouts for all of the gauges as well as touch-sensitive buttons. It was the grandfather of the modern infotainment touchscreen. It seems remarkable that tech like that would show up in a car more than ten years before the premiere of Star Trek: The Next Generation, but that’s because the digital dash wasn’t ready. The display washed out under sunlight and the buttons often didn’t work. Aston actually switched to a more primitive cathode-ray tube display for the 1978 model year, but that was just as bad. This is why, for the most part, carmakers stuck to analog buttons for the next 35 years. 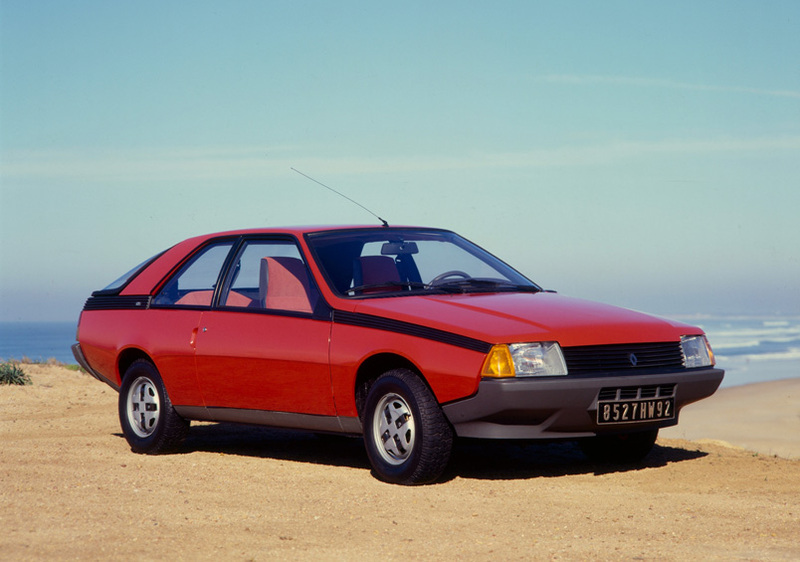 Renault Fuego: Renault’s sporty coupe for the 1980s may have gone up in flames (no pun intended), but it offered several key features that are taken for granted on many cars 30 years later. The Fuego was among the first cars to include two now-common convenience items. It was the first car with remote central locking, which Renault called “electro-magnetic lock,” and steering wheel-mounted controls were offered on some European models. Car companies today are adopting smaller turbocharged engines to increase fuel economy, and including displays like the Toyota Prius’ Multi Information Display to goad drivers into being more responsible. The 1983 Fuego Turbo set the precedent for that, albeit in a decidedly analog way. The Fuego Turbo supposedly used forced induction for performance, not economy, although it managed to achieve an impressive 39 mpg. While it did not have a fancy Multi Information Display, it did have a green area on the tachometer (just like the area marking the red line) to indicate the most fuel efficient engine speeds. However, the Fuego was a complete disaster. The convenient new tech and fuel-efficient engine were placed in one of the worst built cars ever. That’s why you don’t see them very often today.